Padma Awards 2014 Winners Name, Complete List: Padma Awards 2014 is announced today, 25th January 2014. 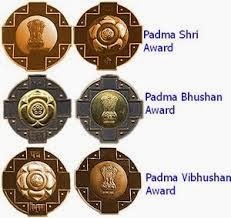 Padma Awards, the country’s highest civilian awards, are conferred in three categories, namely, Padma Vibhushan, Padma Bhushan and Padma Shri. The awards are given in all disciplines/ fields of activities, viz. art, social work, public affairs, science and engineering, trade and industry, medicine, literature and education, sports, civil service, etc. ‘Padma Vibhushan’ is awarded for exceptional and distinguished service; ‘Padma Bhushan’ for distinguished service of high order and ‘Padma Shri’ for distinguished service in any field. 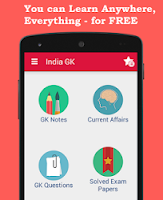 The awards are announced on the occasion of Republic Day every year. The awards are conferred by the President of India at a function held at Rashtrapati Bhavan sometime around March/ April. This year the President has approved 127 awards including 10 in the category of Foreigners/ NRIs/ PIOs. These comprise 2 Padma Vibhushan, 24 Padma Bhushan and 101 Padma Shri awards. There are 27 ladies among the awardees. 33. Madhavan Chandradathan, Science and Engineering, Kerala. 101. Dr Sengaku Mayeda, Literature and Education, Japan.